Click here to check out our Road Map for 2018 to see the features that are coming up. The latest feature release is video SEO that incorporates automatic optimization. Not only is the video file optimized, but the metadata from the video is injected into the header of your website to boost the SEO and increase website traffic. There’s no question that video content offers a powerful method that can boost your SEO efforts. Whether you are launching a full online marketing campaign or releasing a few standalone videos, you need to leverage the content for maximum results. You might be leaving money on the table if you overlook these important video ranking strategies. Why is it important that we talk about video SEO? This practice refers to optimizing video content to help with search engine traffic. The goal is to increase the likelihood that your video will show up in search engine results for related searches. These organic rankings can help you bring potential customers to your website. The search engines love video content, and so do your customers. People prefer to watch a short video clip instead of reading a long-form article. Social media is transforming the online landscape to place a bigger focus on video over written content. It is essential that you keep up with these trends if you want to stay relevant in your industry. Hold the Person’s Attention with the Description: After the headline, the next thing the person will see is the video description. This short section of written text should include the target keyword phrase that was added in the video title. Plus, share information to describe what the video is about to entice the visitor to watch. Leverage Visual Appeal with an Interesting Thumbnail: It is a common saying that you shouldn’t judge a book by its cover. But, this saying doesn’t apply to video content… first impressions matter and that first impression is created with the right thumbnail. Some people won’t read the description, which is why a video thumbnail is the next piece that you need to consider. The Vidello software gives you a simple tool so that you can create eye-catching thumbnails for your videos. Improve Consistency with Website Optimization: Even if your video is optimized, your website page will suffer in the search engines if you don’t use these optimization techniques for the page content as well. Include the target keyword in the headline, tags, and content of the page where the video will be embedded. Choose Video Placement Order: Are there several videos that need to be included on a website page? Place the most important video at the top of the page. This first listing will be the video that shows up in the search engine result as well. Search engines prioritize video SEO placement based on where the videos are embedded on your webpage. Don’t Spam the Search Results with the Same Video: You will hurt the SEO results by embedding the same video on multiple pages. Search engines view the redundancy as duplicate content, resulting in a situation where these video pages compete with each other. You are dealing with enough competition against other companies in the industry… there’s no reason to make it harder by competing against yourself as well. Maintain an SEO focus by limiting the locations where the videos are placed on your website. 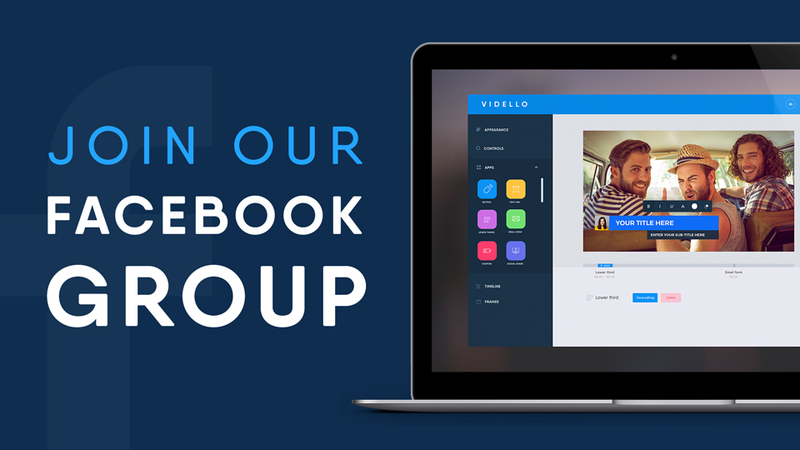 Our team at Vidello is working hard to simplify your efforts for video design and SEO. 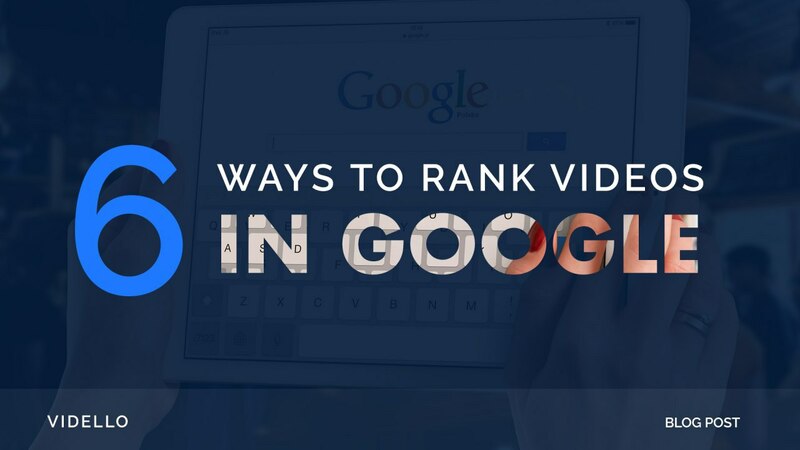 You don’t have to be a tech wizard to make videos that look great and rank well in the search engines! Instead, use our platform to leverage the tools that we provide. Contact us any time if you are interested in learning more.